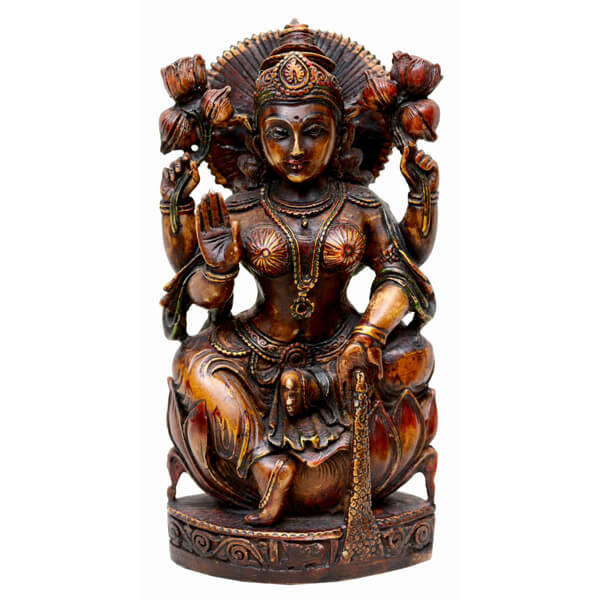 Shopolics proudly presents the largest collection of Indian God Statues made of various metals and handcrafted by the experienced Indian sculptures. 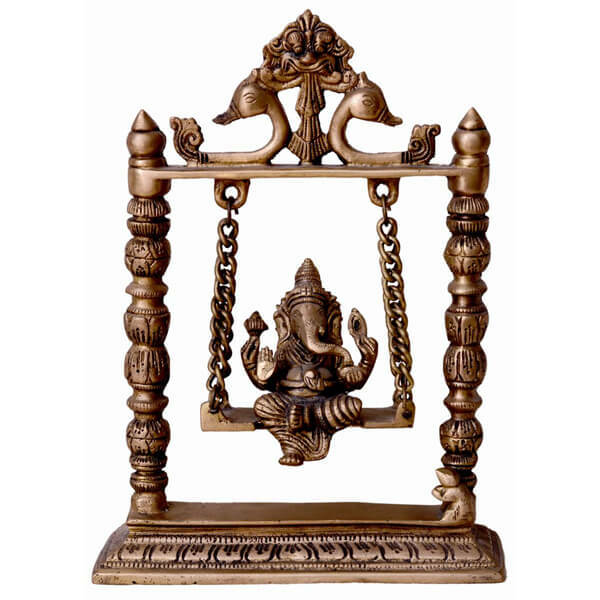 Shopolics is the one-stop shop to find the widest range of idols made of Bronze and Brass. 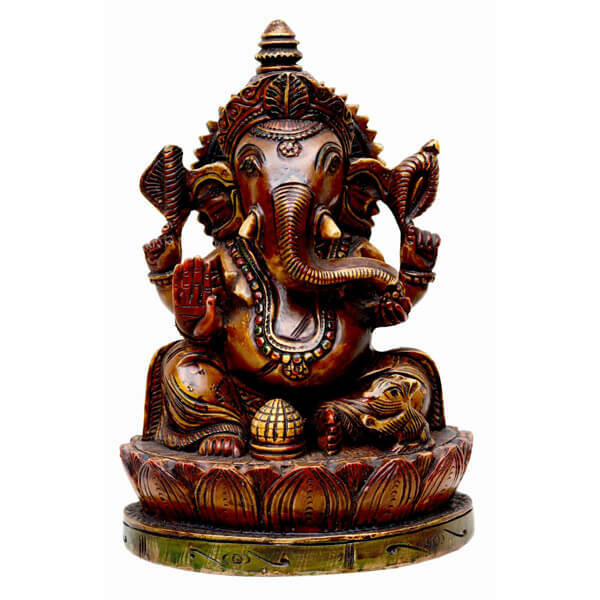 We have a lot of antique deity’s idols for you, such as Buddha, Hanuman, Lord Ganesha, Lord Krishna and so forth. 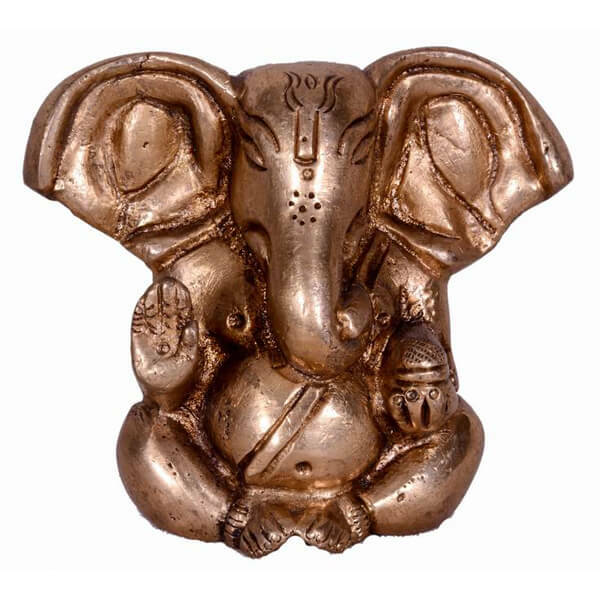 We also have the unique collection of sculptures hand carved of five metals “Panchadhatu” – silver, gold, copper, bronze and brass. 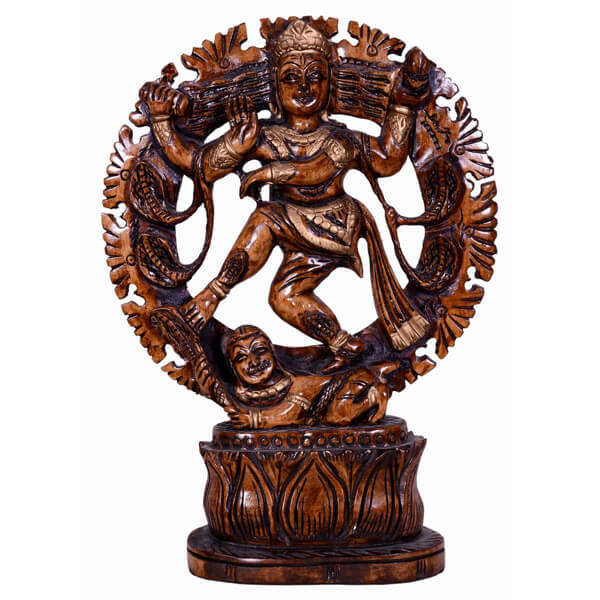 To make religious idols and sculptures, our Indian artists used sturdy materials and some of them have used wood-carving. 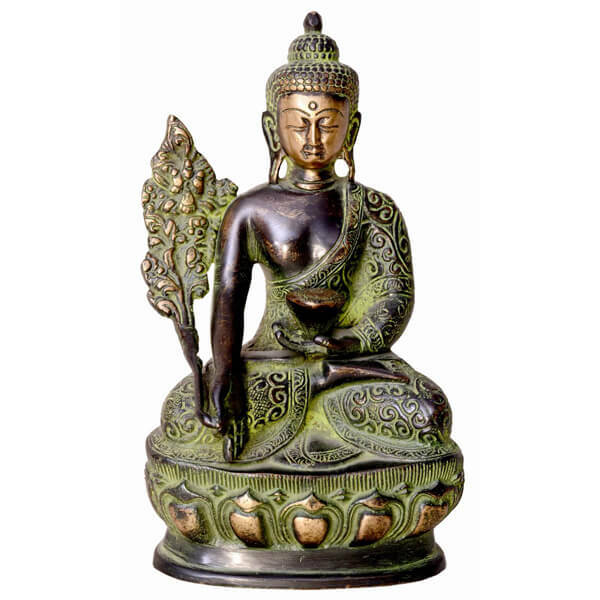 It is a solid metallic statue of Lord Buddha made from brass. In this statue Lord Buddha is sitting in Vitarka Mudra. 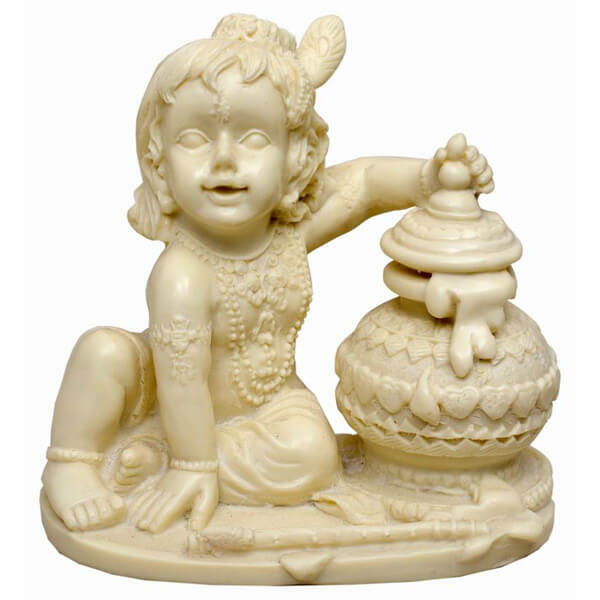 Gifting this statue is not only considered as lucky, but it is also very auspicious. 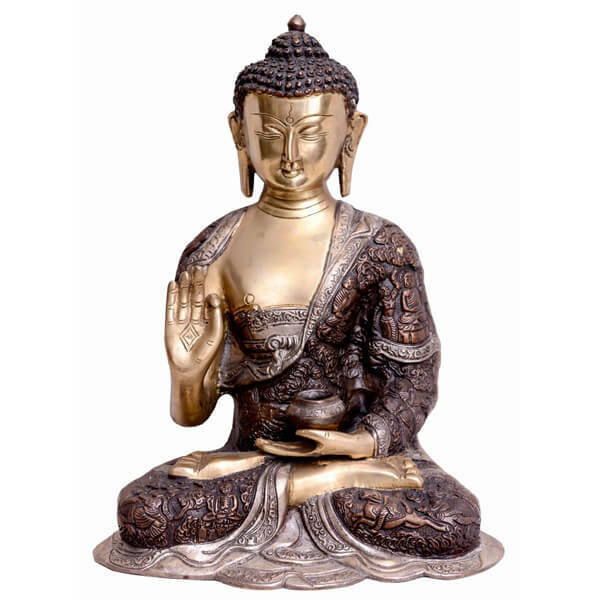 This metal statue of Lord Buddha is crafted through a series of sand casting techniques. 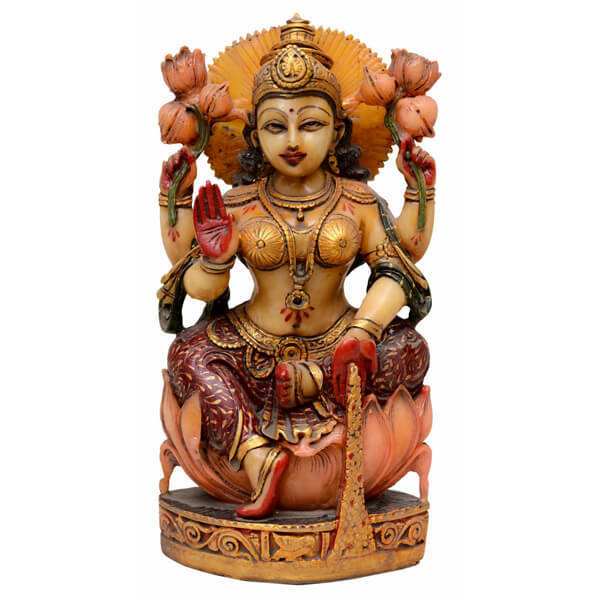 The statue is used for both decorative and gifting purposes. 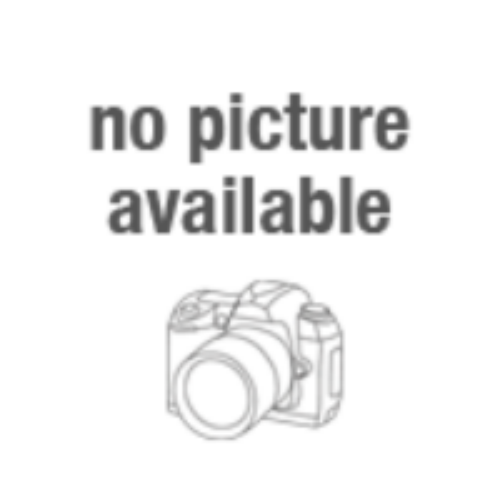 It is considered as an ideal gift on occasions like Birthdays, Anniversaries, Thanks Giving. House Warming etc. 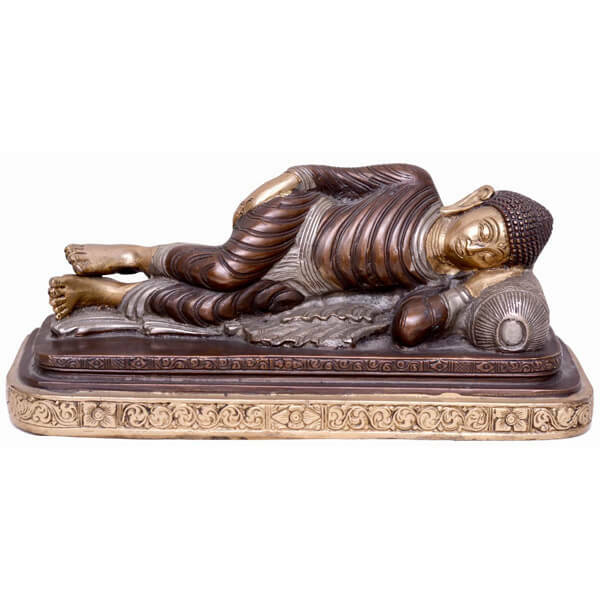 This metallic statue of Lord Buddha lying on a bed has a very unique design. 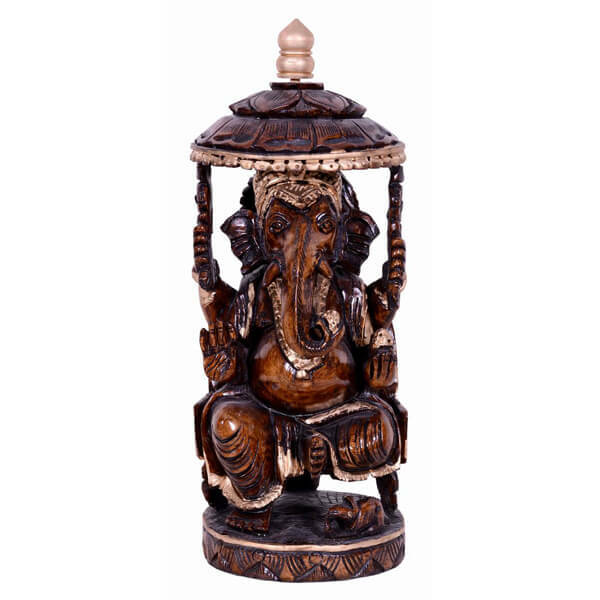 Our artisans have given this sculpture an antique finish to make it look elegant and attractive. The sculpture is made from various sand casting techniques. 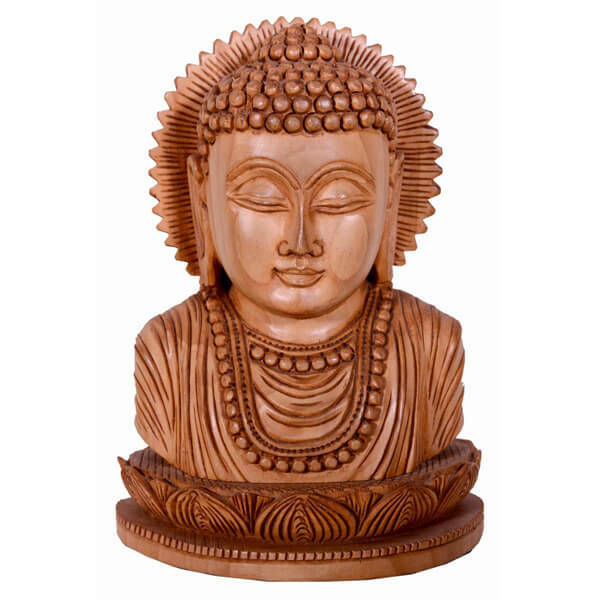 This wooden sculpture of Lord Buddha has fine carvings not only in front, but at back side also. 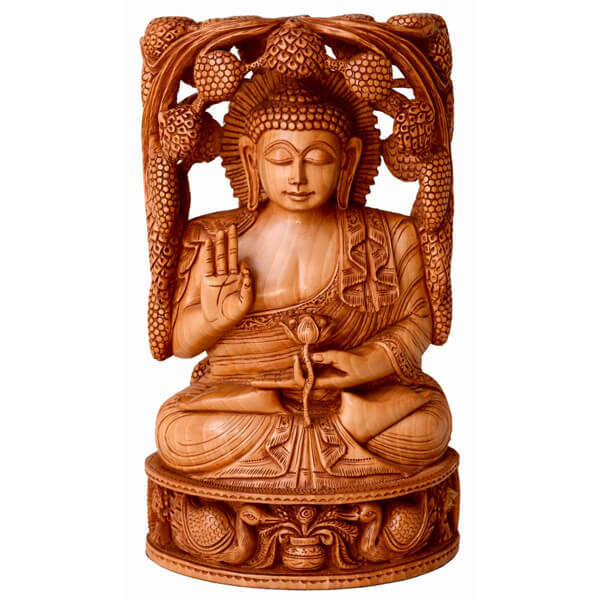 In this sculpture Lord Buddha is holding a lotus flower in one hand and is sitting under a tree doing meditation. The sculpture is coated with a fine layer of Lacquer. 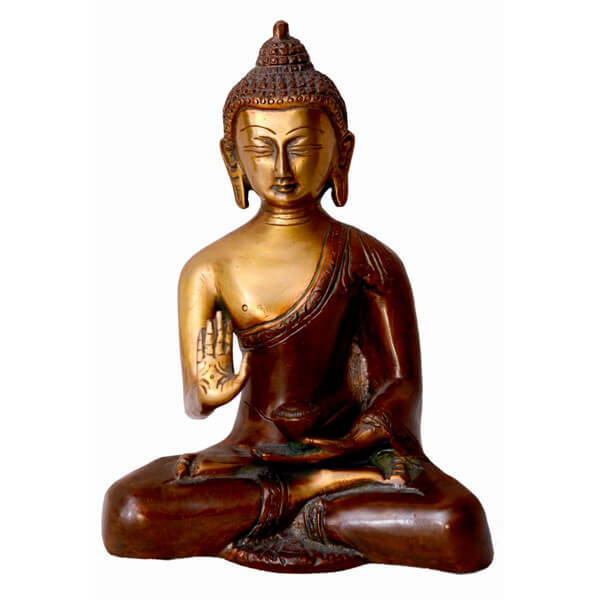 This statue of Lord Buddha in Vitarka Mudra state is brown and golden in color and is metallic in nature. Because of the elegant appearance of the statue it can be decorated in any kind of interiors whether contemporary or modern. This statue of Lord Buddha is a jewelry piece. The head area is studded with stones which gives it a marvelous look. The face area has dark brown polish. The statue is not at all expensive and truly worth the price. The material used in the making of this statue is Bronze. 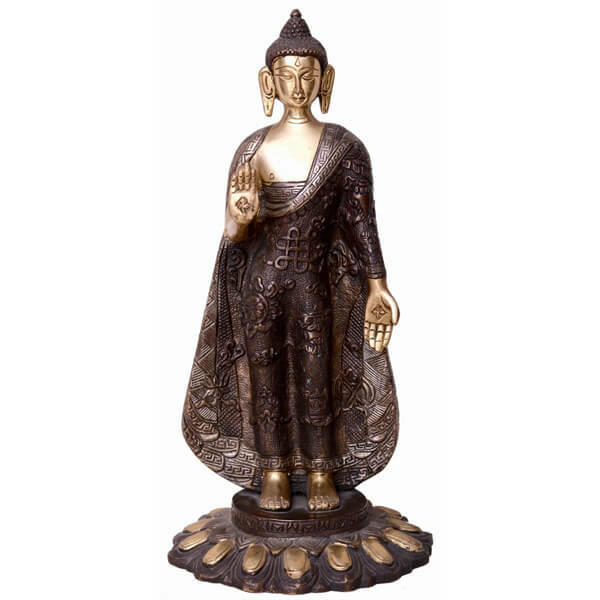 It is a statue of standing Buddha hand painted by expert and experienced artisans. 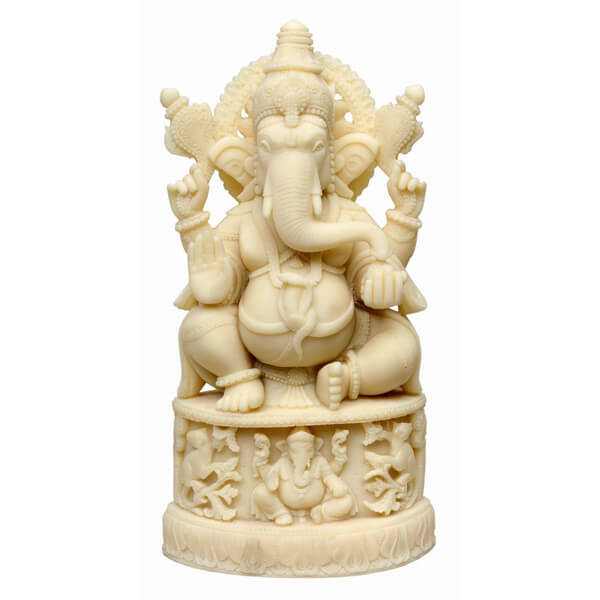 The statue has been carved out of eco-friendly materials and makes the product long lasting. This is a metal head statue of Lord Buddha made of bronze metal. This is produced by artisans by various crafting methods. 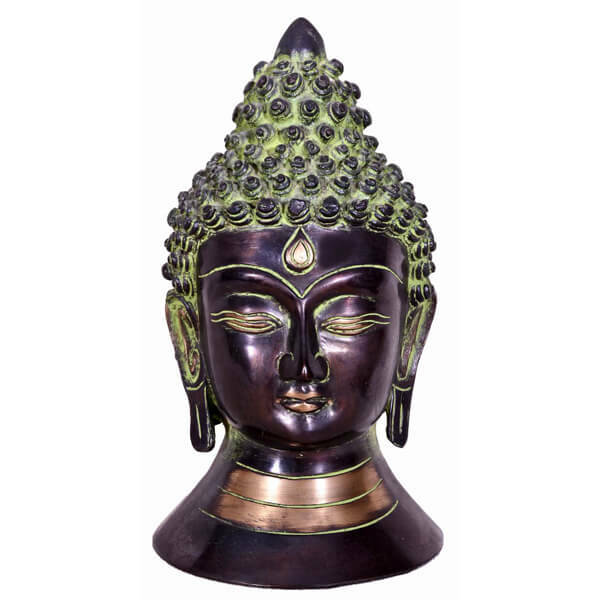 Hair of the Buddha is in antique green finish while the facial area has a brown polish. 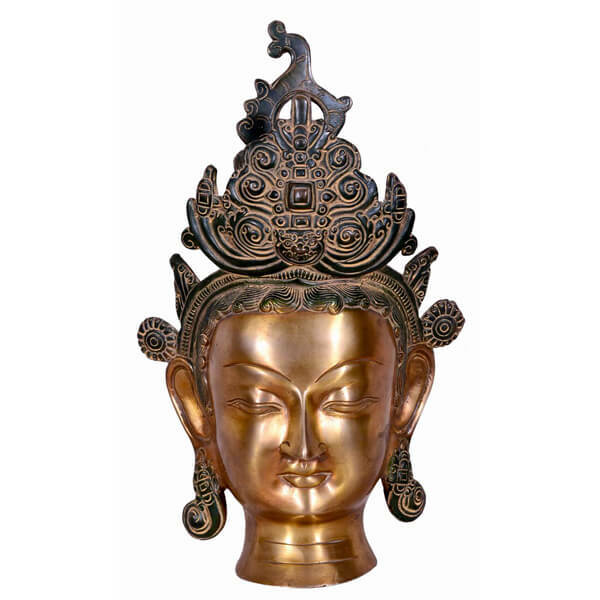 This shining Buddha head statue is made of metal and having a size of 12 inches. An eye-pleasing handicraft item for sure. 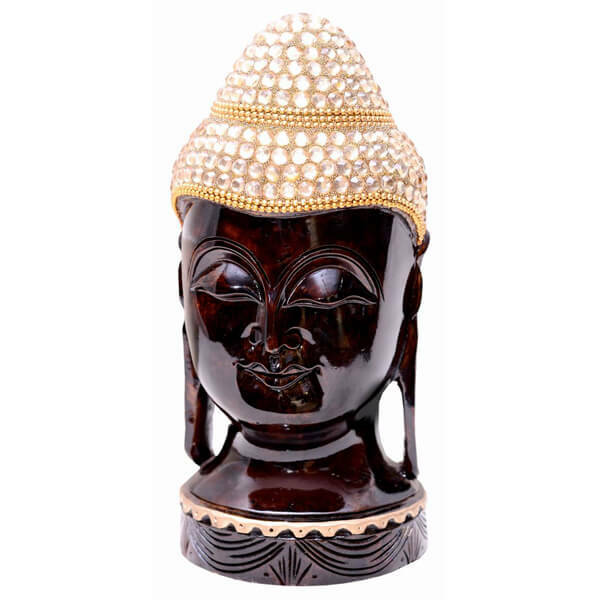 This is a metallic Buddha head with golden polish over the face and black antique finishing over the crown area. 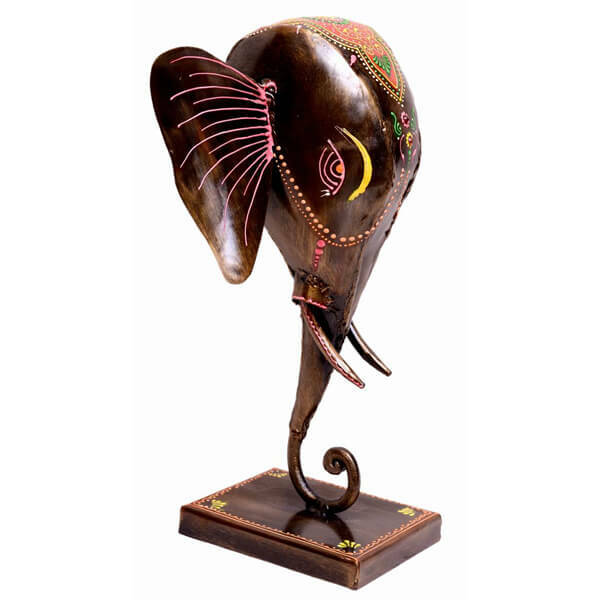 It can be used as a showpiece as well as a wall hanging. Can be used both for indoor and outdoor purposes. 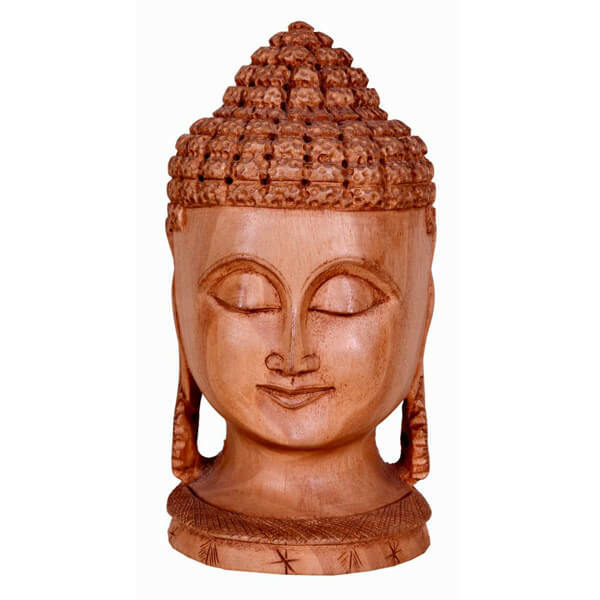 This beautiful meditation head of Buddha is made up of teak wood and one can think of reaching the enlightened state by viewing this charming statue. 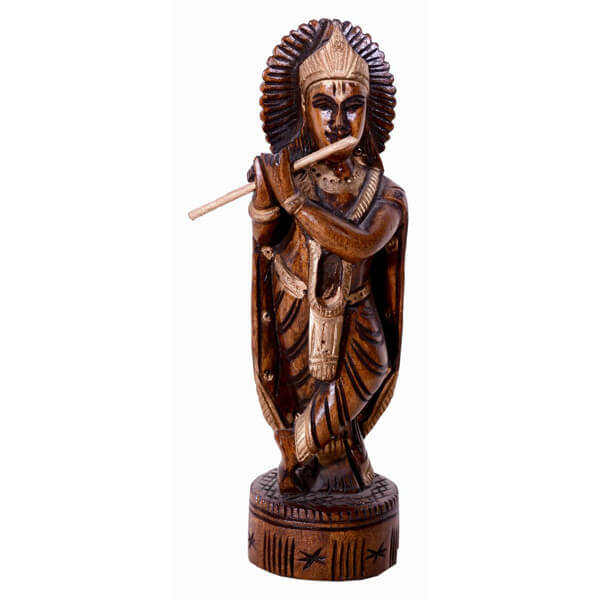 This is a very economical statue of Lord Krishna playing murli and is made up by teak wood from our trusted manufacturers. 2 in 1 hand carved s.. 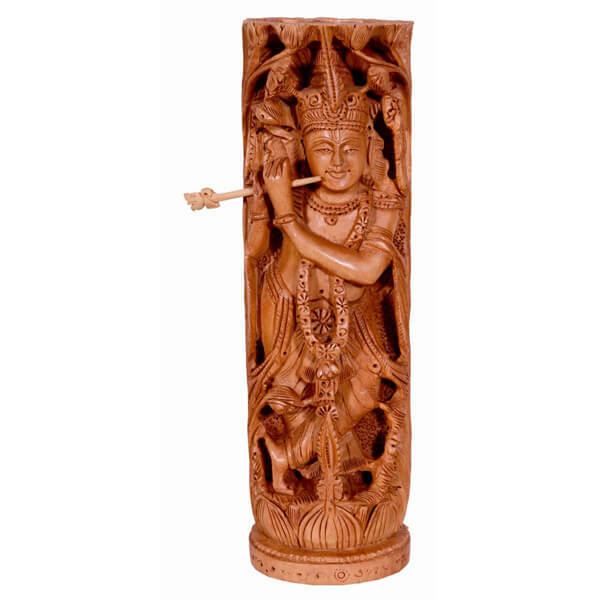 This magnificent statue having Radha Krishna joined with back is available at a very decent rate. 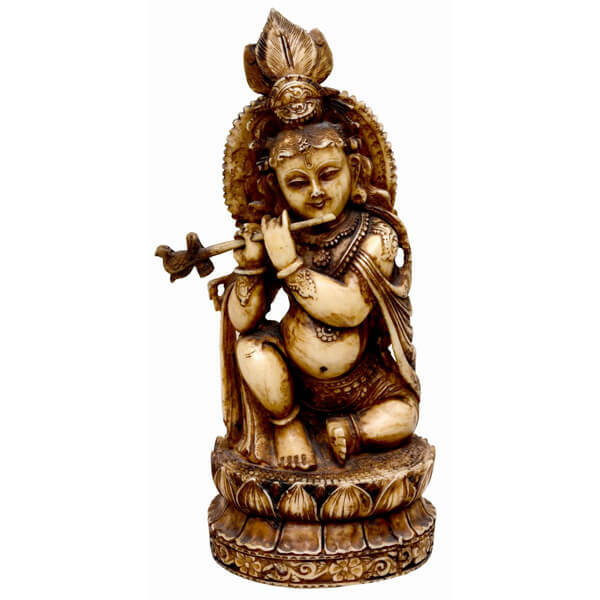 This figurine is beautifully hand carved on teak wood. 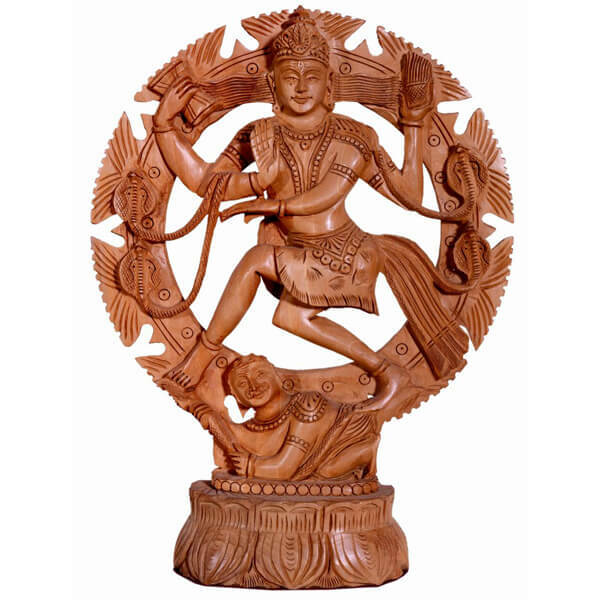 We have used a wide array of materials to carve almost all kinds of imaginable types of sculptures. 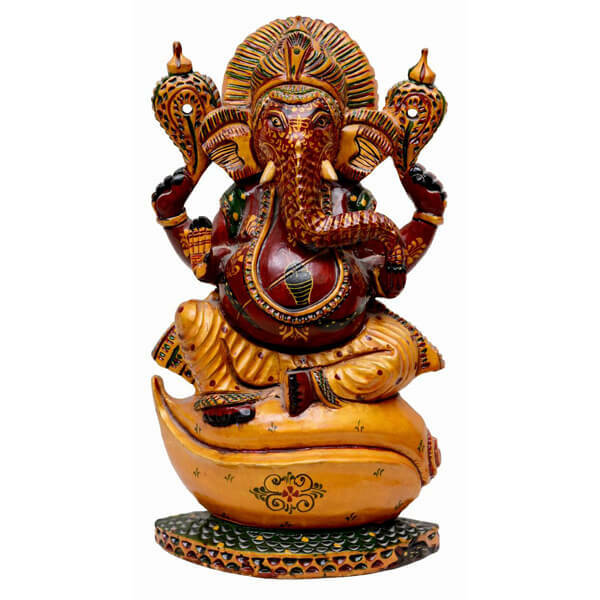 Our symmetrically arranged idols are the iconic symbol of diversity. 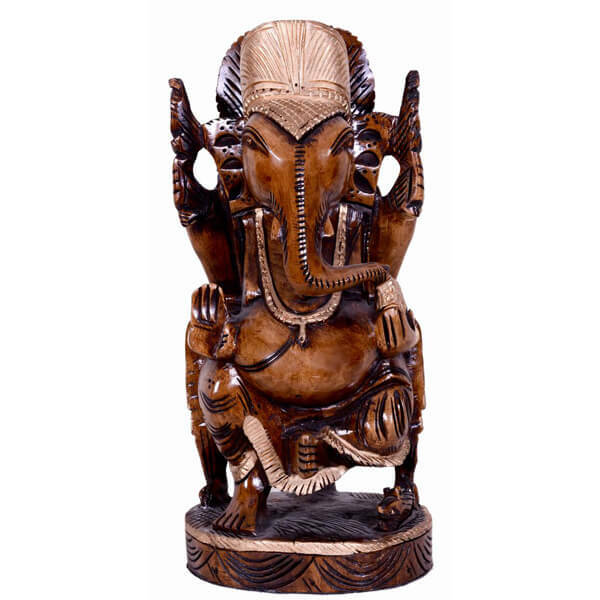 We have the sculptures that redefine the charm of several regions, periods and cultures with their own artistic styles. Take a glance at one of the Indian sculptures presented here with factually accurate descriptions of female or male form. 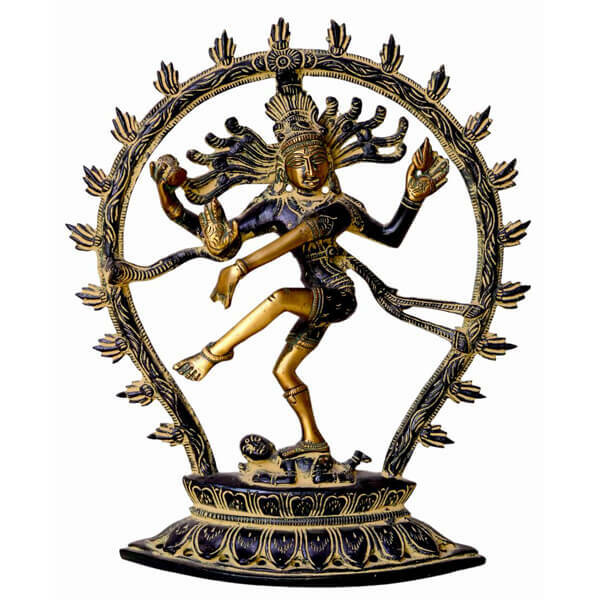 The body represented in the statues comes alive with inherent divinity. The human form is strategically composed of different geometric shapes and curves as per the ideal canon of proportions. 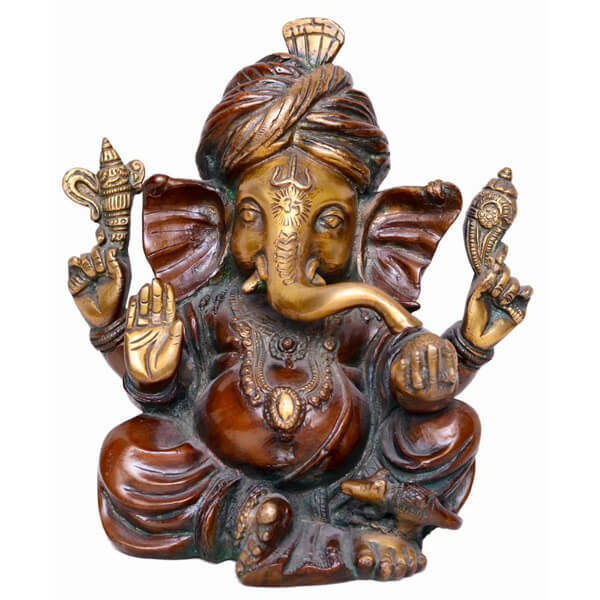 At Shopolics, we are the leading exporters and manufacturers of Indian God Idols, figures, sculptures and plaques. 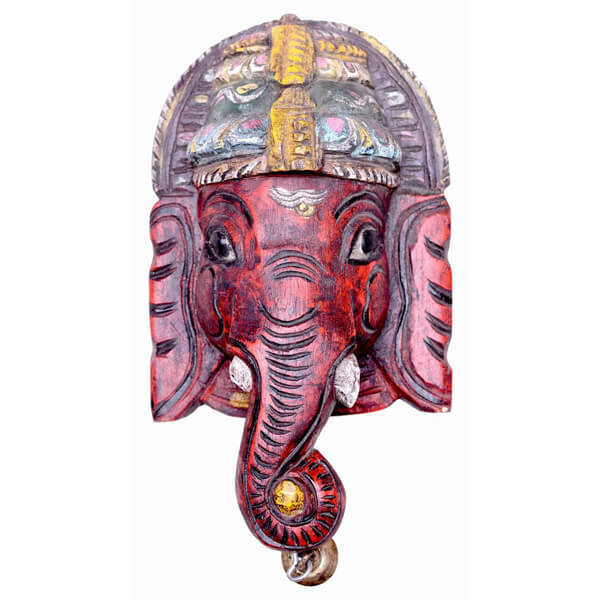 Our religious offering also includes Konark and Khajuraho Temple figures, Religious Marble Stone Statues, Mythological Episode plaques, and decoration materials like golden crowns, outfits, customized garlands etc. for deities. 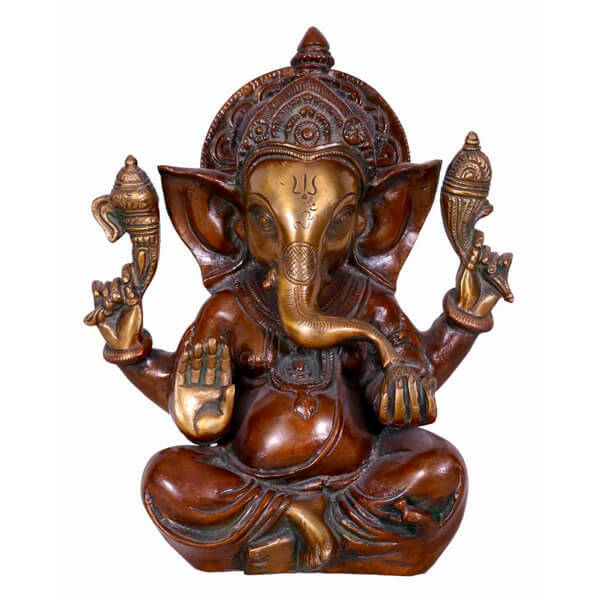 We have Hindu God statues made of high quality metals so they retain their shine for a longer time period. 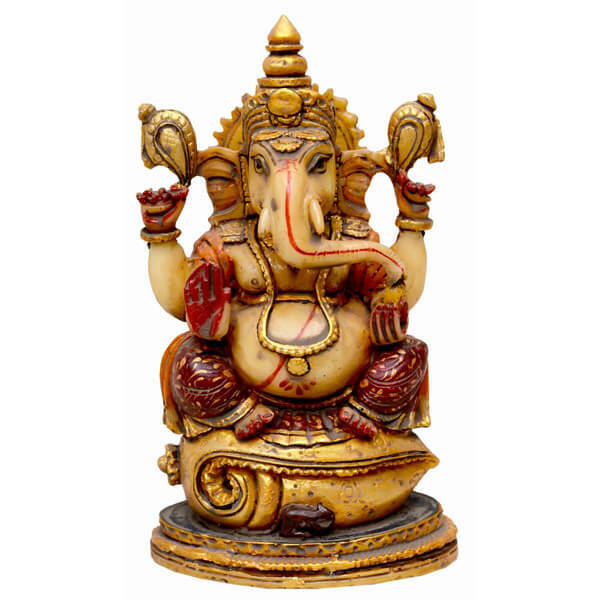 We have well-trained and skilled Indian artists to handcraft world-class statues and idols. 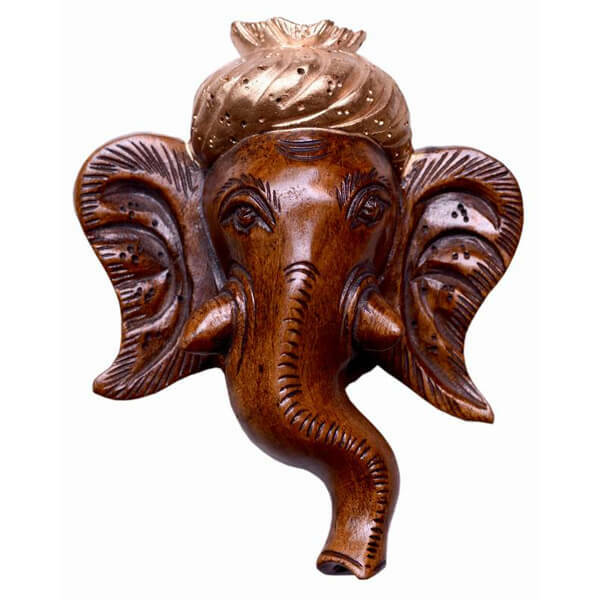 We are registered with Export Promotion Council of Indian Government for creating handicrafts.